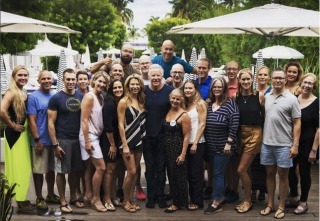 I’m still riding the high of holding another Primal Health Coach Institute Masterclass event—this one in Miami Beach, July 27-29. 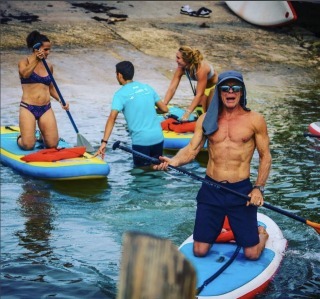 A couple dozen Primal Health Coach Institute students, graduates, staff and I gathered to take a deep dive into ancestral health, coaching and business building (and paddle boarding! ), and it was an incredibly inspiring experience. If you’re not familiar, Primal Health Coach Institute is the first and preeminent ancestral health coaching school in existence. I co-founded the school with my business partner Aaron Fox a few years back with the vision to help 100 million people reclaim health and wellness through education and coaching. Our mission is to build a global network of well-trained coaches that deliver excellent health outcomes for clients. And I’m proud to say we’re doing just that. We now have thousands of students that have passed through the program, and many of them are running successful businesses (see here, here, and here for starters). They’re helping others, making an impact, doing what they love, and making a living doing it. What’s better than that? My enthusiasm for the school, the work we’re doing there, and the people involved grows every day. I believe that collectively we really can make a difference. So, if you’ve ever wished that you could make more of an impact and do more meaningful work, if you’ve ever desired to turn your passion for health and wellness into a purpose-driven vocation, or if you feel called to spread the Primal message to others because you personally know the life-transforming power that it has, I hope you’ll consider joining our program and tribe, and helping us fulfill the mission. To learn more you can download the short guidebook How to Become a Health Coach: 5 Steps to Embarking on a Career You Love. Or join me and Master Coach Christine Hassler on an upcoming webinar by registering here. The post Making a Difference Together: Our Masterclass—Miami Beach Style appeared first on Mark's Daily Apple.